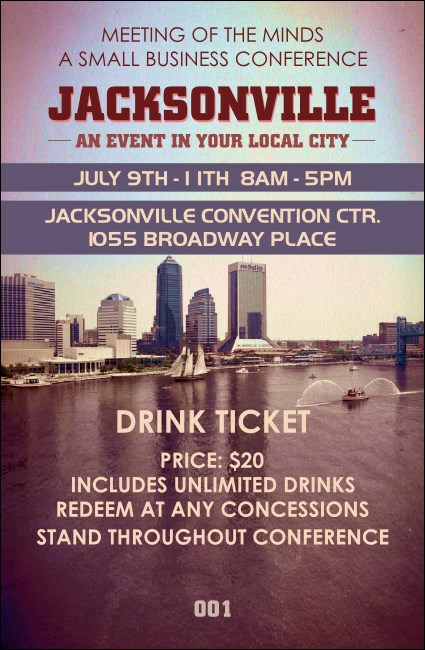 Let your guests drink in the beautiful views of the St. Johns River while they sip refreshing drinks at your J-ville event when you print Jacksonville Drink Tickets. These stunning tickets feature the image of the city’s skyline on a bright and sunny day along with twelve lines of text and numbering for security. Find the right ticket for your River City event at TicketPrinting.com.